According to police, Fish was driving south along the South Coast Highway a short time before 1:00 in the afternoon and was reported to have run the red light located at Oceanside Boulevard. This caused the Toyota Tacoma he was driving to T-bone a Mazda sedan that was moving eastbound. The collision impact of the crash caused the sedan to spin to the other side of the road. This violent maneuver caused two of the passengers in the backseat to be ejected. They were identified as Petra Arango, an Oceanside resident, age 40, and an unidentified young girl, age 13. The Oceanside DUI crash resulted in the deaths of Rufina Rodriguez, an Oceanside resident, who was 74 and another unidentified woman, age 56. Arango and the young girl were transported to local hospitals, where Arango later died. The women who died in the collision were not using seat belts at the time. Two men, also from Oceanside, who had been riding in the Mazda’s front seat, were trapped inside the vehicles. Upon their extrication by firefighters, they were transported to local trauma hospitals. Their injuries were described as moderately serious. By February 6, the teenage girl and one of the men who had been hospitalized were released from the hospital. The teenage driver who caused the Oceanside DUI crash was jailed in the Vista Detention Facility on six felony charges. These included gross vehicular manslaughter, DUI causing injury and a misdemeanor charge of possessing a narcotic. Bail was placed at $602,000. Arraignment is set for February 7. Fish was operating the motor vehicle on a suspended license. California prohibits driving while under the influence of drugs or alcohol. 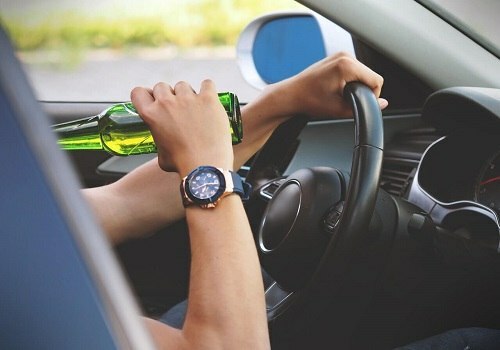 DUI accidents are increasing and causing numerous serious injuries and deaths. A DUI charge can be leveled if the driver cannot operate his or her motor vehicle properly due to the effects of the drugs. The law defines drugs as entities that limit the driver’s cognitive ability and affect the nervous system and muscle coordination. Drugs, in this case, includes illegal, prescription or over-the-counter medications. Some illegal drugs include heroin, methamphetamine, and cocaine. Even legal drugs such as marijuana are included. Even though marijuana is legal, driving while feeling its effects is not. Prescription drugs might not induce a high but can impair the driver. Over-the-counter drugs such as antihistamines are notorious for making the driver sleepy or incapable of operating the motor vehicle. The penalties for both misdemeanor and felony DUI are steep. On many occasions, the driver has consumed both alcohol and drugs, adding to their overall effect. When a loved one has died due to an Oceanside DUI crash or other types of negligence, the family may be able to obtain financial compensation for their loss. Although it doesn’t lessen the grief, it gives the family a small measure of comfort knowing that they will not be devastated financially too. An experienced wrongful death lawyer can help by gathering the evidence and conducting their own investigation to help the family obtain what they need and deserve. I’m Ed Smith, an Oceanside personal injury lawyer. No one should face losing a loved one because of a drunk driver. It not only causes profound grief but leaves the family without the loving and financial support they enjoyed. If you lost a family member due to negligence, I would like to offer you free and friendly advice. You can reach me at (760) 509-8818 or at (800) 404-5400. I also have an online contact form if you prefer. For 37 years, I’ve defended the rights of those who were injured or lost a loved one through another’s negligence to their right to fair compensation, including all varieties of car accidents or traumatic events such as brain injuries. I belong to a number of groups that I am proud of, including the National Association of Distinguished Counsel, which invites those lawyers who they believe represent the highest legal excellence. Million Dollar Advocates, which I belong to as a California member, represents trial lawyers around the country who have obtained in excess of one million dollars for a client.